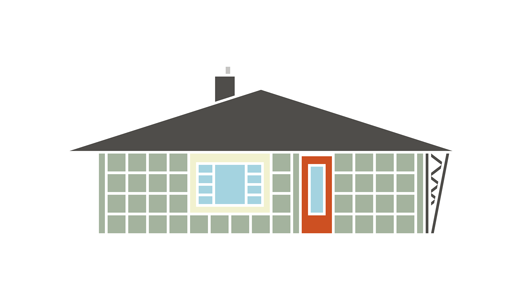 What does a mid-century house look like to you? Asymmetrical? High design? Screams California? Not so fast. Mid-century homes are everywhere, and they come in all shapes, sizes, and styles. 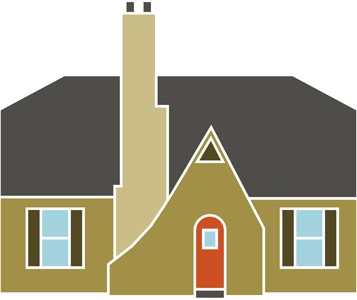 In fact, most mid-century homes are not high-style mid-century modern. There are quite a number of styles that can all call themselves mid-century. This list will help to identify the styles and what attributes to look for on your hunt for the (not so rare) mid-century house. Believe it or not, most mid-century homes are pretty traditional. Simple shapes, hipped roofs, divided lite windows and paneled doors are some of the traditional hallmarks of these mid-century homes. Don’t judge a book by its cover; home exteriors can be misleading - many of these traditional homes have modern touches on their interiors. You might be living right next door to a minimal traditional and not even appreciate it for its mid-century roots. Small and unassuming, these homes have quite often been expanded throughout the years and may no longer be recognized as a minimal design. Clues would be traditional styling with multi-pane windows, brick or horizontal lap siding and very traditional styles for the front door and shutters. 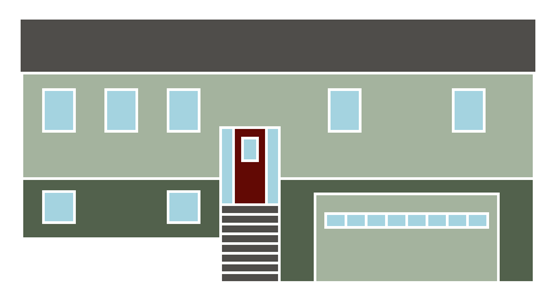 Levittown is a prime example of minimal traditional housing. The revivals are just what the name implies - reworks of the classic styles of early American architecture. Look for half-timbering and peaked door facades on Tudor revival homes. Colonial revival is the most classic of the classic - shutters, symmetry with porches and lean-to add-ons. Colonial revival might be seen in both one and two-story options. 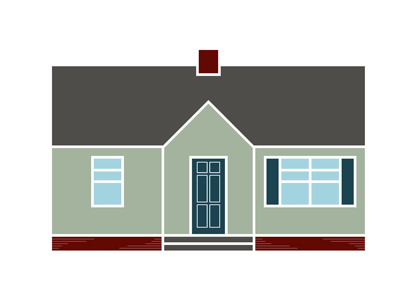 Cape Cod revivals have steep roofs, with the side of the roof facing front. Most Cape Cod Revivals are one and a half stories with dormers on the upper story. All of the revivals are classic, classic, classic and tend to be small (two to three bedrooms). Based on a concept contrived by architect Frank Lloyd Wright, Usonian styles are an off-shoot of the prairie style in a much more compact form. 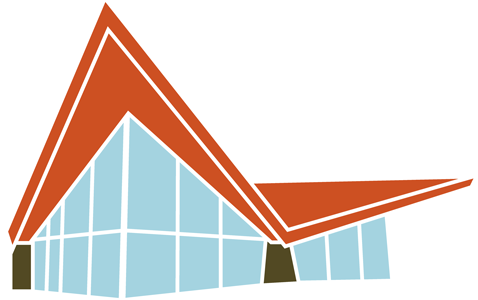 The concept of Usonian is an architectural style that is unique to the free landscapes of America; an architectural style that responds to its site. In Usonian architecture, look for long, low lines that blend with the landscape with natural materials of wood and stone. 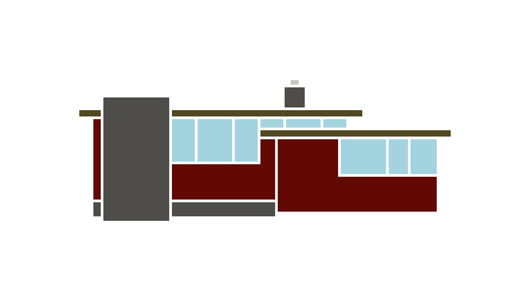 The Usonian style is attributed to be the pre-cursor of the ranch home. A short-lived architectural style with distinct mid-century design features and colors, Lustron was the brainchild of Carl Strandlund. Lustrons were proposed as a way to house the many G.I. 's and their new families as well as a way to keep wartime factories up and running. The Lustron house was designed out of a porcelain enameled steel panel system inside and out that could be factory stamped and loaded onto specially built trucks and shipped across the United States for assembly. Key features of Lustron houses are their unique 24" x 24" metal panel exterior wall along with their stamp-formed steel roof shingles. Lustron came in two-bedroom models and later in three-bedrooms. Lustrons came in four colors: Maize Yellow, Dove Grey, Surf Blue and Desert Tan. The houses are typically slab-on-grade, and one popular style has a cut-out corner with a splayed, zig-zag column. Also known as Ramblers, Ranch-style homes became popular in mid-century for their open floor plans (sound familiar?) and modern styling. 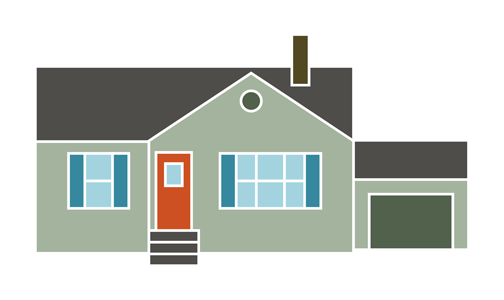 Typical ranch-style homes are long and often low. Look for overhanging eaves with picture windows in the living areas with simple double-hung windows in the separated bedroom portion. Ranches are often one-story, but multiple story versions exist. The backs of ranch homes often open up to patios and yards through sliding glass doors. Trim details are simple, and materials include brick, stone, and siding. 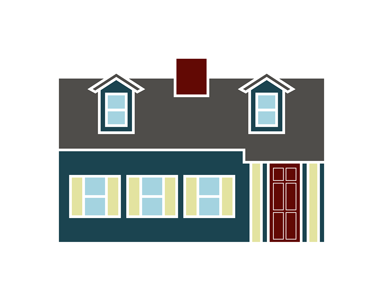 Siding is often vertical board and batten or brick and rarely a horizontal lap. 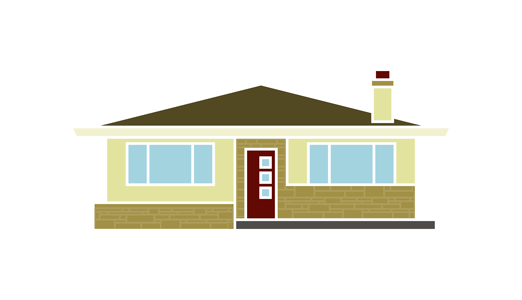 A raised ranch style contains the stylings of a traditional ranch while adding a finished basement level to the home. The entry of a raised ranch is on the lower level with stairs leading up to the main floor with bedrooms and public spaces. Garages and finished basement areas such as rec rooms are on the lower level. A split-level ranch has the entry foyer in a mid-configuration where upon entering you need to go up a half level to the main living area (living, dining, kitchen, and bedrooms), or down a half-level to the finished family/rec room and garage. A tri-level ranch has an entry on grade into a single-story portion of the house. On one end of a tri-level, you will see a multi-story section. Typically, this would contain the garage on the bottom level with bedrooms above. The singles story portion houses the main living areas of the living and dining rooms and kitchen. Storybook ranches can be any of the ranch configurations but dressed in fairy-tale finery. Storybook ranches often have a steep gable-front piece with ornamental fascia trim along the peak. These ranches will often have decorative window panes such as a diamond motif. Storybook ranches may also have a combination of simple and patterned sidings such as decoratively shaped shingles. 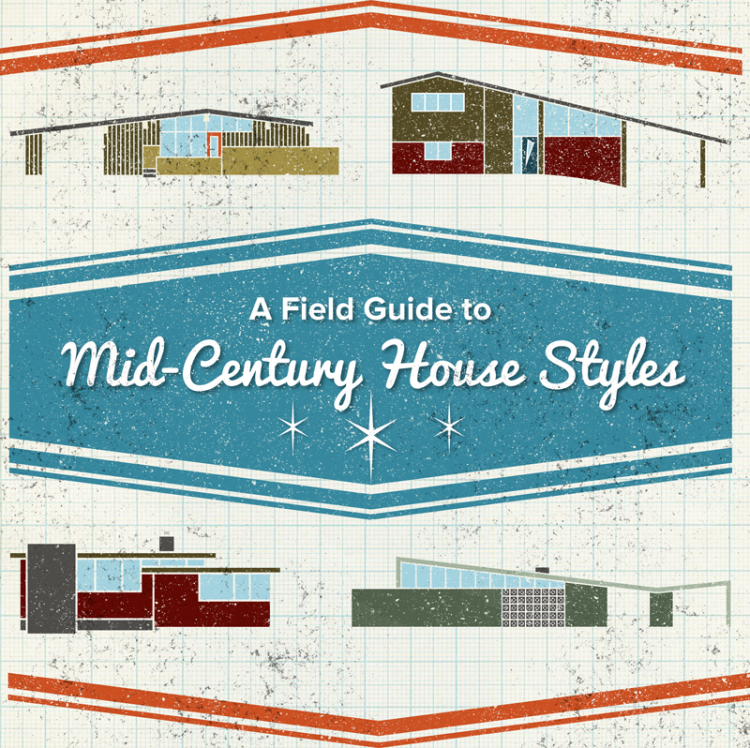 When someone uses “mid-century” to describe a house, mid-century modern is what most often comes to mind. Elements of modern houses are picture and casement windows, bold geometric shapes and large overhanging eaves. Roof lines are often low and often are interesting shapes. There are many minimal modern houses from the mid-century period. They are often smaller than the sprawling mid-century modern homes that we most-often think of and have less grand-scale details. The hallmarks of classic modern exist in the picture window styles and overhanging eaves, but the geometric shapes are often understated. A house type synonymous with its architect, Joseph Eichler, these homes are ranch-style in their overall horizontality and eave lines. Typical Eichler details include exposed rafter tails, flat or low-sloped roofs with gable-end glazing, interior courtyards and wood and glass construction. Location is also key to spotting an Eichler – they are located in both northern and southern California. Alexander homes were built by the Alexander Construction Company and designed by architect William Krisel. Southern California, and particularly, Palm Springs, is the place to find these beauties. The homes are similar to Eichler ranches in their minimalistic and indoor/outdoor design. 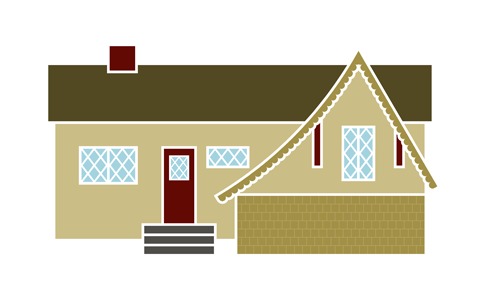 The distinctive rooflines of Alexander homes often give them away: butterfly, slanted and exaggerated gables. Decorative concrete blocks (breeze blocks) were also often part of the design. The expansive use of glass brings the outdoors in in Alexander homes which often came with in-ground pools. Like Eichlers you will see exposed rafter tails and post and beam construction. A-frame homes are named such that their shape resembles the capital letter “A” with the steeply peaked rooflines coming almost all the way to the ground. The style was easy to construct albeit quite compact and was often constructed as a second vacation home for mid-century families. 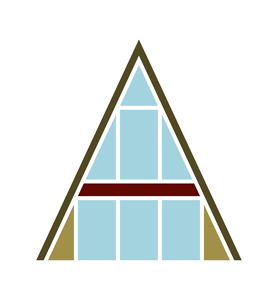 One or both sides of the A-frame are often fully glazed which was perfect for a vacation home situated in an idyllic location in the woods, on a lake or in the mountains. The Populux term comes from a mash-up of the terms popular and luxury and came about in the later mid-century with the rise of the consumer culture. While the styles under the Populuxe umbrella greatly vary, one of the defining characteristics is futuristic shapes and eye-catching design. 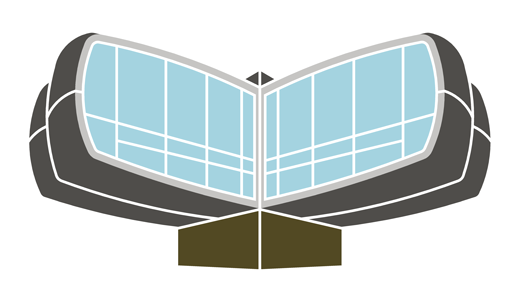 Googie is a style associated with commercial buildings which originated in California. Think “The Jetsons” with bright, primary colors, a plethora of neon and bright lights with bold geometric forms. Starburst and boomerangs and two geometric forms closely associated with the style that was co-opted for residential design. Space Age houses take futurism to the extreme, often appearing to be alien ships which have landed here on earth. One of the houses that most exemplifies this style is the Futuro houses designed by Matti Suuronen. 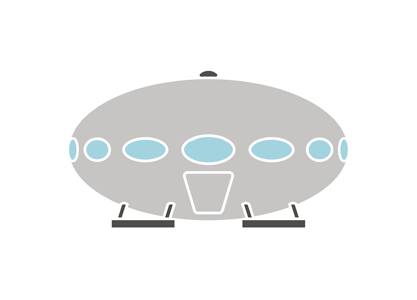 Only 100 Futuro houses were ever built. Other similar space-craft-inspired houses are scattered throughout the United States. Popularized by Buckminster Fuller in the early 1950’s, geodesic forms are created of interlocking triangles to create a domed appearance. The structure of the Geodesic style is very different than that of a traditional home which, with its system of load-bearing columns or walls and beams, is a compressive structure, whereas the geodesic form is in tension. 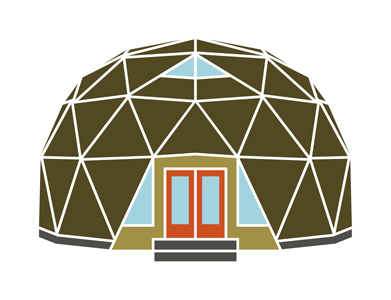 Geodesic homes are said to be very energy efficient and are still available for purchase today. Time to grab your camera and go out there to photograph some of these beauties in the wild. The National Trust for Historic Preservation considers 50 years the age at which a property is deemed historic. Most (if not all) of these mid-century beauties have now reached that prime age, but they are still in danger. Why? Most of these structures, even at the age of 50+, are considered the recent past, and if it's in the memory of those people still alive, then it can't be historical, can it? Furthermore, everyday or vernacular structures and those that are not "high-style" or have an architectural pedigree are often not considered worthy. These are the structures we lose daily, to tear-downs and redesigns and remuddlings. Perhaps the only way to preserve many of these structures is through documentation such as the guide you have right here, but we certainly hope not. Download a PDF copy of this guide.